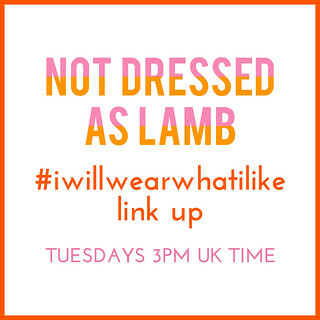 I’m hoping to see lots of bling in the #iwillwearwhatilike link up today – it’s the perfect opportunity to show off the outfits you wore at Christmas and New Year! I already posted my red Christmas Day dress on the blog last week, so today I’ve shown you the outfit I wore at the weekend featuring the sparkly crystal mesh bracelet my husband gave me for our 10th wedding anniversary. Although 10 years is tin, I’m so pleased he bought me this beautiful bracelet rather than a tin of beans – he had every right to interpret it literally, I guess!! But seriously, he’s an expert present-giver and although he knew I had my eye on it, it was still a lovely (and total) surprise. Do you ‘do’ anniversary presents? (We don’t normally because ours is so soon after Christmas and New Year, but we made an exception for our 10th.) Or did you receive anything similarly sparkly for Christmas? Tell me in the comments or tweet me @notlamb! 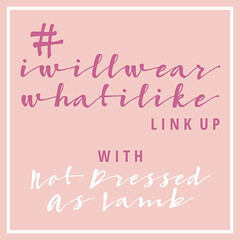 So link up all your fabulous outfits (or shoes, accessories, make-up, etc.) every Monday at 3pm UK time – it’ll stay open for a week. Whilst the original article was of course aimed at the 30+, you can be ANY age to link up. The only criteria is that you’re wearing whatever you damn well like! 2. 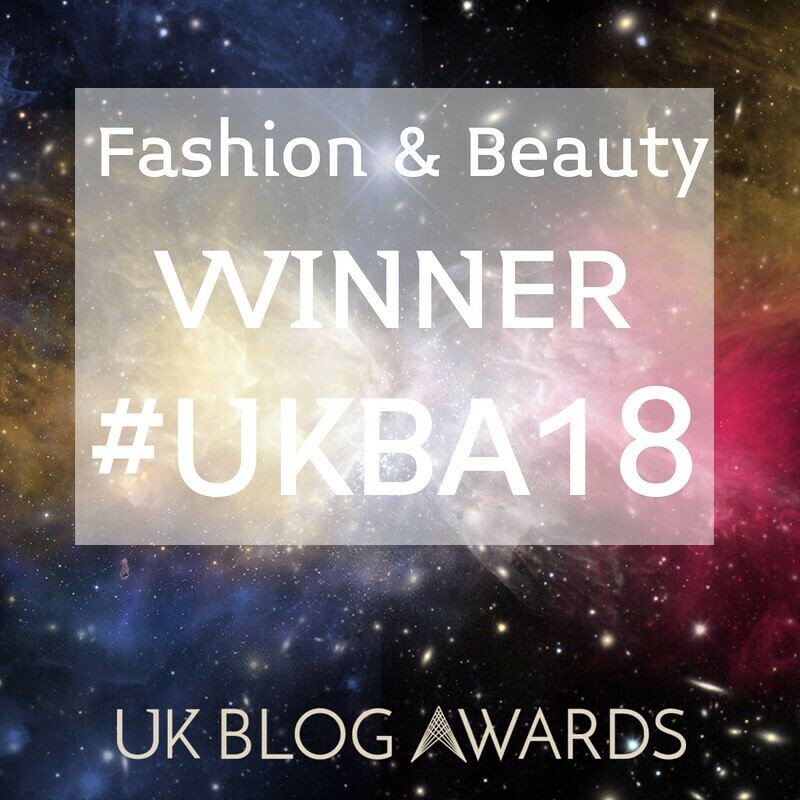 Link up your outfits (blog or Instagram posts) that show how you choose to wear what you like – as many as you like! 6. Visit some of the other links and share the love! 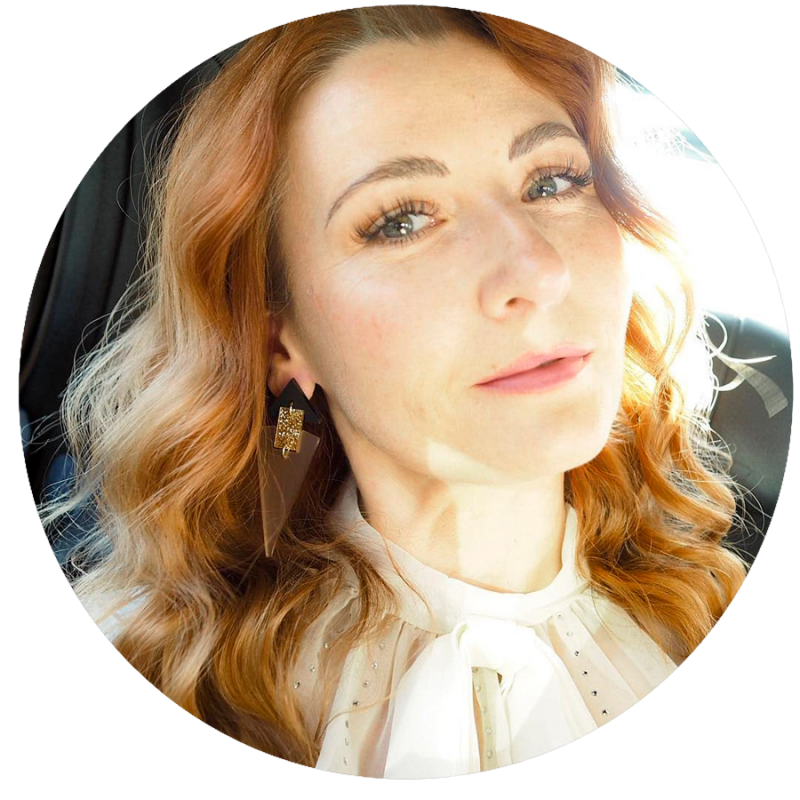 Do share the love and visit as many links as you can (you never know what other lovely like-minded ladies you might meet) – the original Instagram campaign forged some wonderful new relationships so don’t miss out! Hi Catherine, congratulations on 10 years and the fabulous new bracelet. I really like the soft look of your cropped hair…it really is lovely on you. Thanks for lending your flair to the My Refined Style Linkup! I LOVE this blazer!!! It's fabulous and hooray for the husband purchasing you something lovely! Anniversary presets are the best! Good luck with the nominations!! I love jackets with jeans. You did a very good job with the colour and texture of the sweater underneath it. Lovely. As is your beautiful bracelet. Yes, you picked the right husband. So did I. He is the one who remembers our anniversary. I am the one who always forgets. He buys me lovely presents like gold rings… I haven's done badly either. Haha I'm the same as you, Greetje – I know our anniversary is just after New Year but I could never remember the actual date, I always had to ask him!! He finally told me to remember it's the same date in the month as his birthday, so now I can remember it at last. I love a huggy jumper too! Your bracelet is gorgeous! We have our anniversary one day after our son's birthday so it is tight. Mostly we buy ourselves something big or a piece of art. Hubby did good!! I love it!! I adore this whole look, classy, yet the perfect pops of fun and color!! The booties…oh I swoon…love!! Thanks for linking up with My refined Style!! Hope to see you next month!! What a lovely bracelet – the husband chose well! We don't usually do anniversary presents although my husband did buy me a new handbag on our 3rd anniversary…without any hinting, which is a minor miracle as he thinks I have far too much stuff! I love the longline blazer, the gold zips on the pockets are a really nice feature. Beautiful outfit, even pinned this one! 🙂 LOVELY! Love that long coat! Very nice. Wishing you a very happy new year. Bit late to the party this week, but oh well, better late than never! Congrats on reaching double figures! Very pretty bracelet and just is the perfect finishing touch to the whole outfit. I wore a festive jumper for Christmas which isn't exactly high style, so instead I've linked an outfit I wore for hub's birthday outfit which falls a couple of days before Christmas so that's my fancy outfit! such a pretty bracelet and I love the outfit. I have to say I am really loving the hair, I know its not "new" but everytime I look at your pictures it really strikes me, the softer colour is so perfect and the cut is fabulous. Also I have a link up on Thursday if you would like to hop over. Great outfit – boyfriend jeans are so much fun to style, and your niece's sunglasses look great with this. I hope you win!! 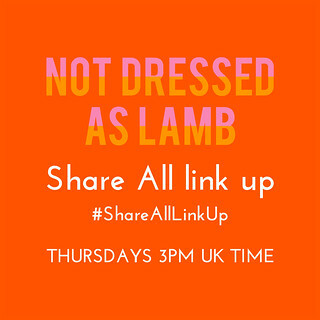 Thanks for hosting the linkup. No fancy duds from me but I love gawking at everyone else, fancy or casual. That pale peachy-pink is amazing on you! Love this classic look! At the top.. You're hair.. ohmagod.. its gorgeous. I know i've seen it on IG but to see some full shots, wow! Love this length on you and it looks so funky! Secondly, i kinda want to hug you in that gorgeous fluffy jumper.. that is a beautiful colour on you. Thirdly, the whole outfit has come together so perfectly its like each piece was made for each other. And i've been looking for the perfect black longline coat, i love this one! Thanks so much for hosting, sorry im late joining this week,just published my first outfit of 2016 finally! Ohh I'm so glad you like the hair, Rachel!! I was such a wuss about cutting it off, and I know I did it in two stages but I cut off about 12" in the end and I'm soooo glad I did. thank you sooooooo much, Irene!! We don't normally exchange anniversary gifts either since we have been buying some big purchases. Our 10 year is coming up and I have been hinting for some diamond earrings. Love the pretty outfit! Thank you for hosting and hope you are having a fab week! Awww, such a sweet husband! Love your new bracelet and sweater. Feel better soon. As far as my husband and I exchanging anniversary gifts, I don't get him anything other than a card, because his love language isn't gifts. And he sometimes gets me gifts, it depends on the year. If we booked a romantic night or weekend away, then no, cause thats the gift. He usually gives me flowers. This is such a fabulous look! I just love those boots! Love your new hair, length and colour. Thank you so much for introducing me to Pipdig and sharing your knowledge. Glad to be back to blogging and joining your party. I voted! I will try my very best to remember to go and vote on other days! What a striking look, and doesn't rose gold form a perfect bridge between black and peach? Ties it all together beautifully. Wishing you all the best this new year! Well, since I just got married in October, I don't know if we give anniversary gifts. We got married on my (45th) birthday and I think I did say I'll expect a gift for each: birthday and anniversary. He gave me a really beautiful Art Deco style brooch as my Kettubah (Jewish vows document) gift (and I gave him a stuffie spaceship). Oh, and of course, I got a wedding ring! For Christmas this year, my husband gave me the original script for the pilot episode of Murder She Wrote!!! My step-sons gave me a dragon ear cuff, and an amber, rhinestone brooch. Bling is my thing and they both chose well. My wedding photos are in so my next post will be from the wedding. I'll be sure to share it here. Your sparkly bracelet is lovely! How wonderful to get it as a surprise anniversary gift. Happy New Year, Catherine! Cheryl thank you so much – I think it's good to not be too strict about "having" to give presents…! Hubby and I will be 10 years soon…we don't normally do gifts either as our anniversary is hogmanay. Too much other "stuff" going on. We usually throw a small cocktail party which starts out quite sophisticated and ends up with crazy dancing (to rave or rock tunes, depending on who has control) and general riotous behaviour. Us over 40's certainly know how to have a good time! I am glad you had a nice time celebrating, despite your pain. Your blazer is a great gift and works so well with the peach and denim…especially with that bag pulling everything together so perfectly. Again, Happy Anniversary to you an Keith! Voted, very best of luck. Thought I'd mention – the link to vote worked but the image didn't, seemed to just take me to pinterest. May work for others but wanted to flag up in case that helps. Thanks Claire so much – I think what you've done is clicked on the "Pin me" link right in the middle of the image which appears when you hover over any image. So the correct link IS on the image, you just have to make sure you don't click on the "Pin me" text instead! My husband and I don't buy anniversary gifts for each other, we're usually on holiday and that sort of counts as a joint present to each other, but now that we're recently married I might have to start a tradition of sorts! First year's paper, so that's easy! Happy 2016. Hope you are feeling well soon, and love the sparkly bracelet. The color of the sweater is so lovely.. right up my alley that soft pink. Love how it picks up the color that is in your colorblock bag. Very pretty!! Thank you Jess, and yes I think I'm finally on the road to recovery at last….! Love the whole look!! What a great sweater! The color is gorgeous! Oh!! 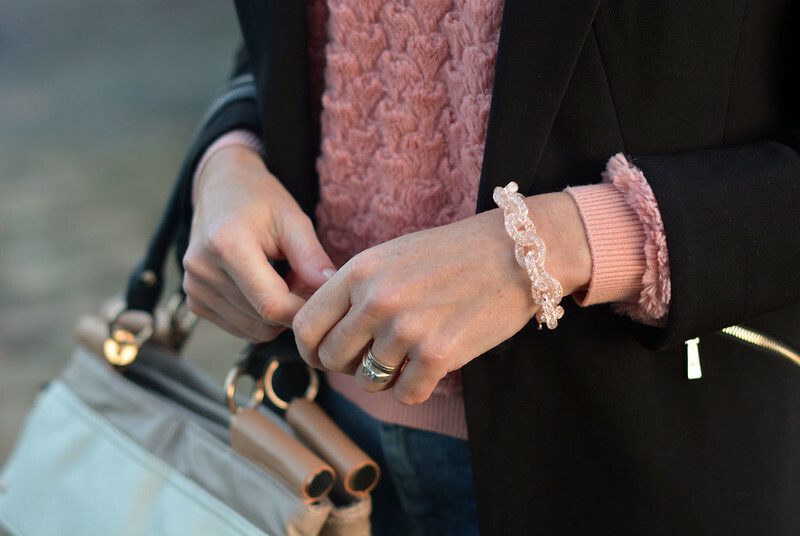 Your new anniversary bracelet is sooo pretty, dearest Catherine…and a perfect match for that snuggly pink teddybear sweater!! Kudos to the hubby for sure!! 😀 I'm very happy that you were able to celebrate your 10th with a family lunch, but really sorry to hear how painful you still are; as you know, I've had first-hand experience with the frustration of a leg injury…and I'm continuing to send as much "heal fast" energy your way as I possibly can!! XOXO P.S. Robin and I don't usually do big gifts for each other either…and since we purchased our new home back in September, we joke that we probably won't be doing any gifting AT ALL for the next 20 years or so! !